Organize & refill children's activities pack for weekend Masses. It takes less than an hour to replenish & organize the packs with a few friends or family members and you will receive the gifts of seeing our children AND parents so happy to have some quiet activities for kids to complete during Mass! If interested, contact Mo Maloney at hnyouth@catholicsteamboat.org or call 970-879-1225. If you would like to contribute your time to a small group or to help for a Youth Night or to lead to Middle School Ministry, please contact Sam Schultz at hnyouth@catholicsteamboat.org . If you would like to support the High Youth Program as a small group leader or become more involved, please contact Sam Schultz at hnyouth@catholicsteamboat.org . If you would like to pick-up, set-up, serve, and clean-up for the Youth Night meals on the 1st & 3rd nights of the month. The Church purchases the meals, we just ask for your time to pick-up, etc. Please contact, hnyouth@catholicsteamboat.org for more information. To help support Children's Faith Formation (Pre-K-5th grades), contact Mo Crouch at hnkids@catholicsteamboat.org or 970-879-1225. Set-up & Clean-up for the after Mass receptions one weekend per month! The Church pays for the food that is not donated so we just ask you to donate your time to make sure that the reception is a hospitable event. To help with Saturday evening receptions, contact Lupita Hathaway at 970-819-6084. To help with Sunday morning receptions, contact Jim Sitlington at 970-371-4700. To help with Sunday evening receptions, contact Renee Gilbertson at 904-571-7940. To help with set-up, serving, and clean-up for the funeral ministry, please contact Betsy Johnston at 970-879-0671. To support and organize for special events sponsored by Holy Name Catholic Church (set-up chairs, reception set-up, and hospitality), please contact Holly MacKinnon at 720-266-7494. If you would like to donate your time or cooking talent to the RCIA group that meets in the HN Youth Room each Tuesday, please contact the Church Office at 970-879-0671. If you interested in helping with the Community Dinner on the 2nd Fridays & 4th Wednesdays of the month, contact Jim Sitlington at 970-371-4700 for more information. If you are interested in helping making & delivering homemade meals for people in special circumstances (sick, after surgery, etc), please contact the Church Office at 970-879-0671. To help preparation our Church for the weekend Liturgy and special events by helping to straighten books and clean pews, please call the Church Office at 970-879-0671. This ministry is in particular need and can be completed whenever you have time to devote to helping make our place of worship organized and beautiful! The Gifts for the Spirit Shop needs help with opening and operating after every Mass. If you are interested, contact Carol Ward at 970-879-0671. The parish needs help with counting the donations from the weekend Masses on Tuesday, mornings at 9:30am. If you are interested, contact Carol Ward at 970-879-0671. If you would like to help refill votive candles and wash & fill holy water fonts, please contact the Church Office at 970-879-0671. To help with stuffing envelopes and mailings, please contact the Church Office at 970-879-0671. To help with building and ground maintenance, please call the Church Office at 970-879-0671. To provide transportation for those in need of a ride, please contact the Church office at 970-879-0671. To contribute your time to the Young Adult Ministry, please contact Sam Schultz at hnyouth@catholicsteamboat.org . To support our Marriage Ministry with by becoming a mentor couple or planning a event for married couples, please contact contact Renee Gilbertson at 904-571-7940. To be mentor couple for couples beginning to practice FertilityCare or Natural Family Planning or to become an instructor in one of the methods, please contact Nissa Brodman at nissa@catholicsteamboat.org or call 970-846-5631. 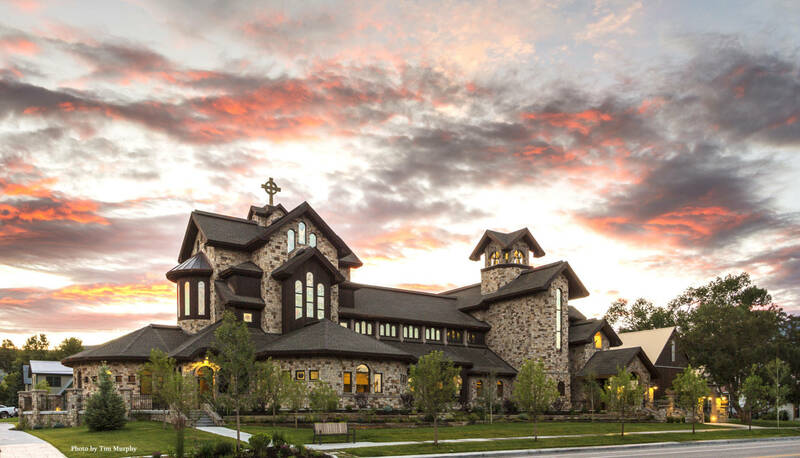 To help with any of the weekend liturgical ministries (lecturers, altar servers, Eucharistic ministers, hospitality), please contact Nissa Brodman at nissa@catholicsteamboat.org in order to be trained and scheduled for the weekend Masses. To lead a small group for faith formation or for a new ministry, please contact Nissa Brodman at nissa@catholicsteamboat.org or 970-846-5631.